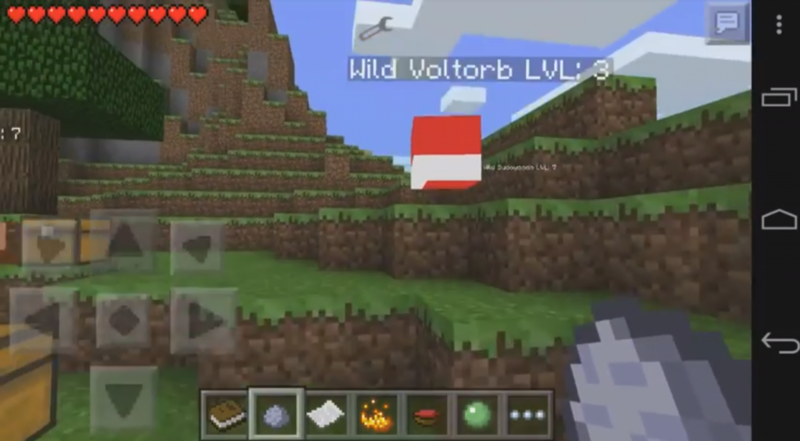 Mod Pokecube PE will add to the world of Minecraft – Pocket Edition, as you guessed the Pokemon. There are a few dozen different Pokémon in this fashion, which are different for their appearance as they are in “real life”. I think that many of you have watched once the cartoon Pokémon, and you know how wide there is the imaginary world of Pokémon. 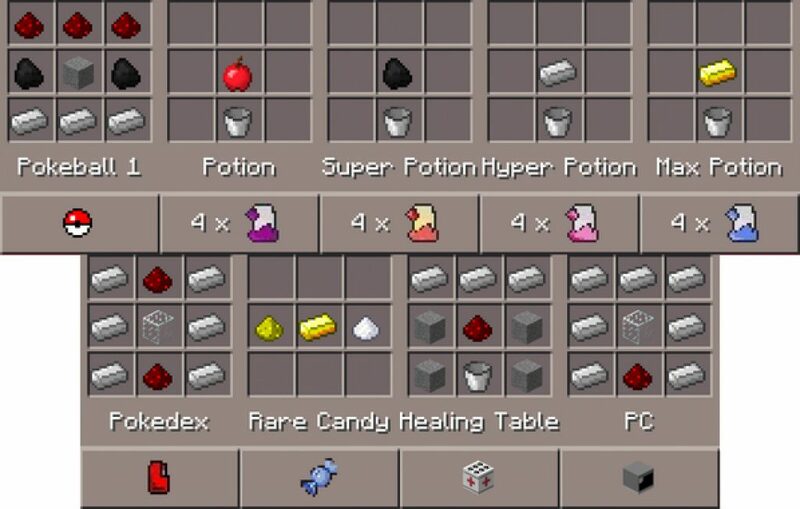 Now, after downloading Pokecube PE Mod 0.15.3 / 0.15.2 / 0.15.1 / 0.15.0 / 0.14.3 / 0.14.1 / 0.14.0 / 0.13.1 in the game world these wonderful creatures will appear, with whom you can be friends and if you can tame them, they will even help you! I’ve always been a fan of Pokemon and Nintendo, but there were no Pokemon mods for the Pocket Edition, so I decided to do it myself. 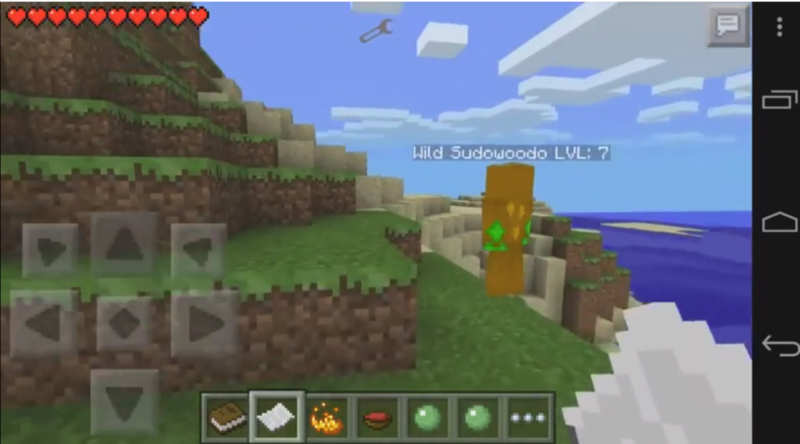 That’s what the author said, and started developing a mod that would add a Pokemon to the pocket version of the game. At the moment, the author has added several dozen mokemons to this mod. But on this the author does not stop, in his plans there are several hints as to how to make Pokecube even better. I think that you will appreciate the mod Pokecube from the author Hexdro. I also want to note that this author is developing several modifications in his sphere for the pocket version of the game. Pokeball 2-6 – do a Pokeball, and spawn the Pokemon, after which there will be a Pokemon in random order. Pokeflute – tap on the ground and “Play it” to awaken / sneak Snorlax. Poffin – Tap on the Pokemon to feed them. Saddle – tap on the Pokémon to ride it. When the game begins, click on the ground to start the game with Pokemon. Thus, the mod works. 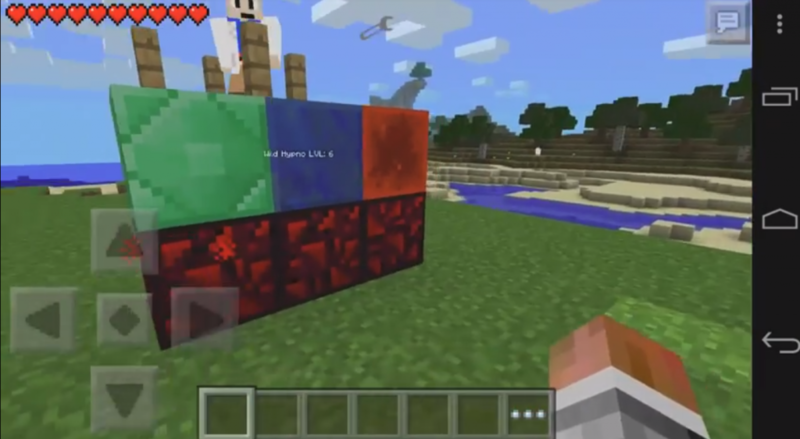 Professor Oak and three color blocks will appear. Red – Type of fire. Blue – Type of water. Green – Type of grass. Click on the appropriate color for the appropriate type of starter, and then catch them in the pokeball. Optional: open the archive, open the folder Pokecube PE with a certain version. In this folder there are texture packs in the .zip archive and mod in the .js resolution – these are two files that you can extract to a suitable daddy. Then the standard setting is mod. Read above!